Helps guard against corrosion, improves conductivity on outdoor electrical connections, provides cooler connections and lubricates prongs for smoother plugging and unplugging. 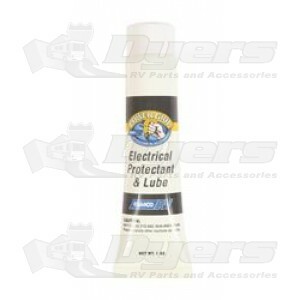 Use on any electrical connector to improve conductivity and protect from oxidation. Also helps make connectors easier to insert and remove. Perfect for use with Camco’s Power Grip™ Adapters and Extension Cords.